Realtors need to handle a lot of tasks like finance, client services, marketing, etc. when they manage a business on their own. If you are a real estate agent and are launching your business for the first time, managing everything on your own might appear convenient. But it’s not for a longer period as it will become difficult for you to spend time handling your business rather than developing it. Outsourcing is the only option you can opt for, in order to free up your precious time so you can concentrate on growing your business further. Here, let’s have a discussion on how outsourcing gets an extra set of hands when you can’t afford to hire staff. 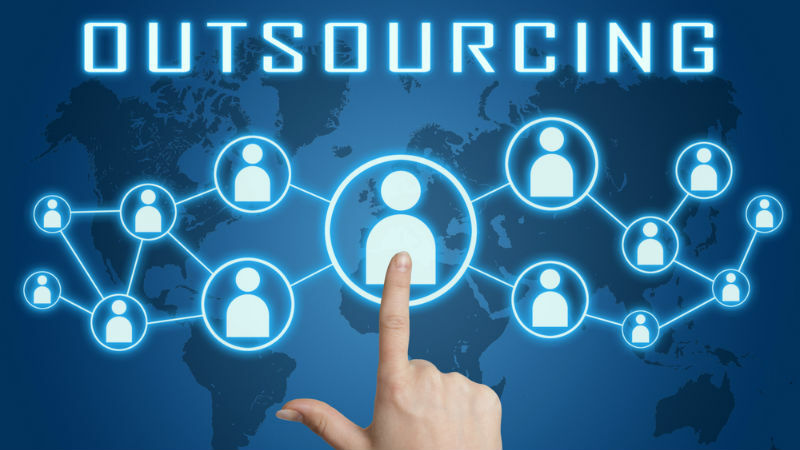 When you pay an outside vendor for offering services or goods rather than performing those jobs in-house, it’s called outsourcing. It’s quite like ‘set it and forget it’ type of deal. You hire by the job a lot of times rather than by the hour so you will know the cost upfront. You pay one set price if it takes them10 hours or 20 hours. • Propel your business – Possibly the most definite and biggest advantage of outsourcing is how it frees up your time to concentrate on bigger concepts. Rather than weighing yourself down with regular jobs with a major learning curve, you can hand them over to somebody else who has experience/ expertise and invest a little time of your own. Remember you can’t make a million doing minimum wage tasks. • Concentrate on your strengths – Rather than investing time in time-consuming or tedious jobs, real estate agents should outsource for growing or using their strengths for their betterment. If you spend time doing things you don’t like, then you probably won’t get the tasks completed. This will stump the growth of your business. If you complete the task, it will make you miserable and remove your focus from your strengths.The things you love! • More reasonable than hiring full-time staff – For hiring in-house, full-time staff, a realtor pays for more than simply a salary. There are employment taxes, recruitment costs, benefits and other staff-related expenses for accounting for also. Hence, outsourcing will help you get an additional set of helping hands with no overhead of a full-time staff – particularly when it comes to the realtor who is just setting up his business. • Hire for skillset – Many realtors have measured the ways of outsourcing work to expert professionals. Some jobs possibly don’t need lots of time and care, but they need experience levels which only the professionals have. When should you outsource an extra set of hands for your real estate business? Whichever the reason is, ensure the expense of outsourcing is lesser than what it could cost you for doing yourself. You need to give your time a particular value and figure out from there. If you can’t get help from your full-time employees, you should possibly consider getting an additional set of hands from the outside.